Not everything can be packaged into neat headlines. We wanted to celebrate all of the work that went into creating the headlines. So we’re diving in and unpacking our 2017. Some of the items might still be a work in progress, but we think it’s something worth highlighting along the way. San Diego holds such tremendous opportunities for candidates, yet when recruiting top talent from outside of the region we still encounter the false perception that career options here are somewhat limited. The San Diego: Life. Changing. campaign reinforces the message we’ve been telling candidates for years: San Diego is a dynamic, rich environment with incredible opportunities to have both the career and life you want, that you just don't find in other regions. In 2015, National Geographic chose San Diego as the only U.S. city featured in its acclaimed documentary series “World’s Smartest Cities.” The documentary told the story of San Diego as more than a beautiful place – it unveiled our best kept secret: we’re a smart city and a smart region. After its debut, local companies had an appetite for telling this story across the globe. And they called on EDC to lead the effort. When you’re marketing a region, perception – not fact – is reality. Guided by research, EDC set out to test baseline perceptions of our region. We wanted to know what made us different from other places, and we think we found the answer. 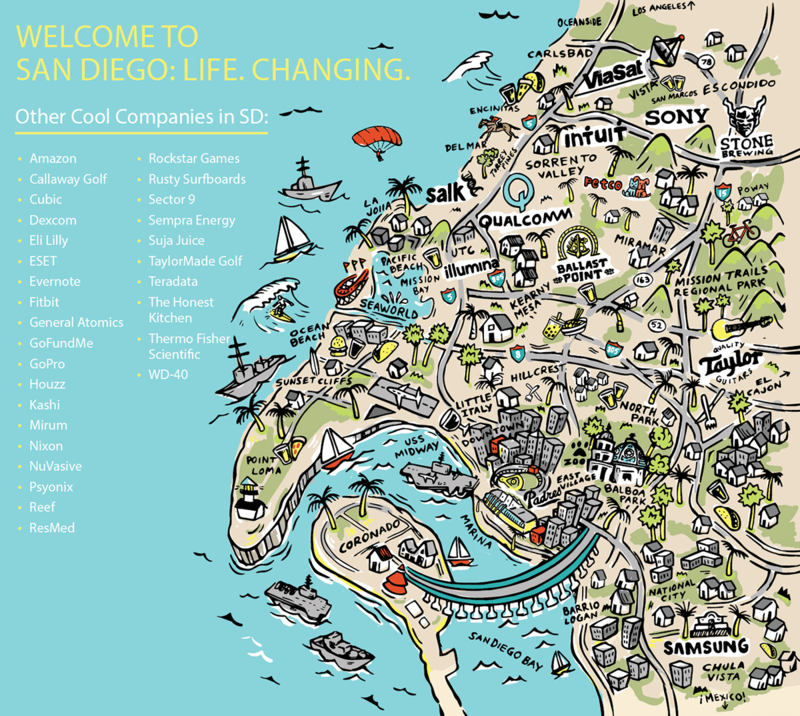 In 2015, we brought 20 companies around the table to discuss San Diego’s global identity. What we found was that many senior-level HR managers feel like they are missing out on key recruits because these potential employees are not aware of the career opportunities that exist here. We also found out that economically, the biggest talent needs were at life sciences and tech companies. 20 companies soon grew to 90, as many eagerly joined together to create a Brand Alliance. Before we officially launched the campaign at the San Diego Padres game in September, we wanted to preview what we’d been working on. Cue: the Masters of Change event. Thanks to our friends at Alexandria Real Estate, this was a night of local food and drinks, a sneak peek of the campaign and toolkit and remarks from San Diego’s number one pitchman, Bill Walton. We even mingled with San Diego’s very own celebrity chef, Brian Malarkey. 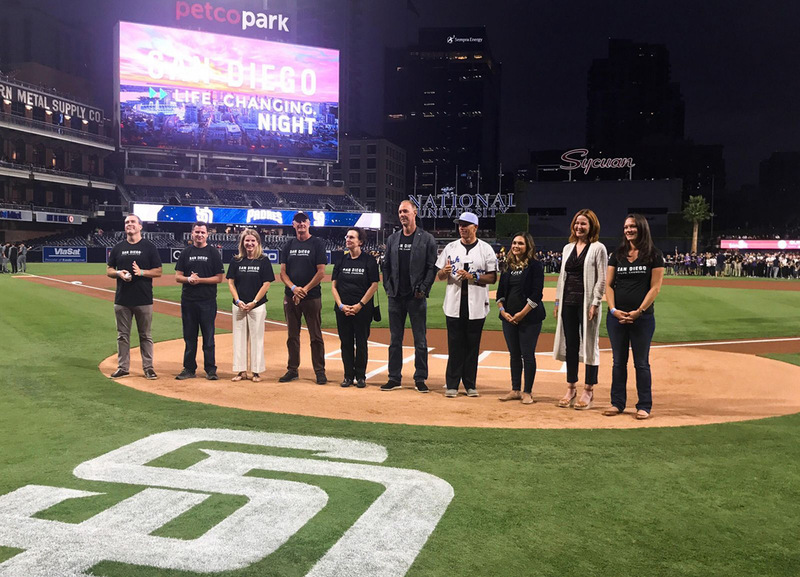 With our employers’ needs and pain points in mind, EDC set out to create tools to help HR and marketing professionals tell the San Diego story to prospective talent and investors alike. Tool #1: A Pocket Guide to the Good Life in SD. 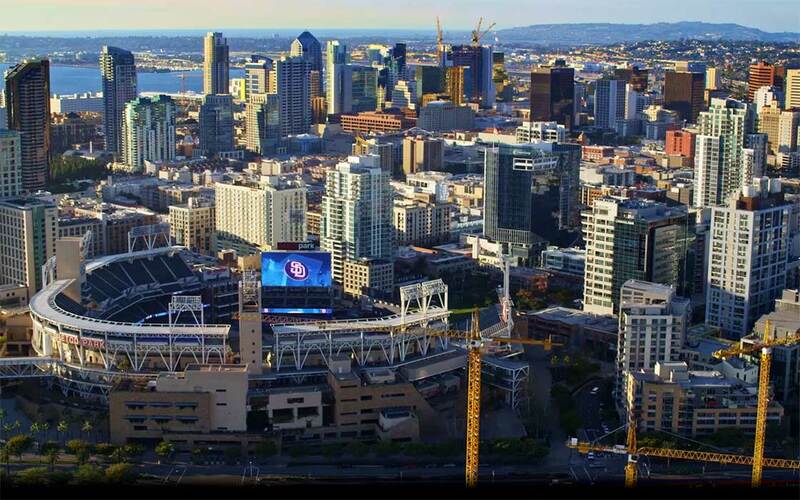 On September 19, in front of a 15,000-person crowd at Petco Park, we officially launched San Diego: Life. Changing. – a regional campaign that serves to attract science, technology, engineering, arts and math (STEAM) talent to the region. SERVES TO TELL AUTHENTIC STORIES OF SAN DIEGANS. Click on the pictures to hear some of them. And we’re just getting started. With two years to go in a three-year, $1 million campaign, EDC will continue building out the website, and a toolkit to support local HR and marketing professionals in their talent recruitment efforts. As a medium-sized company, time and money are very precious and scarce resources. Because of our relationship with EDC and World Trade Center, we were invited to a dinner with a visiting delegation from Shanghai, China, which has turned into not only Gafcon being appointed as development manager for a 3,000-acre project in Shanghai but also an investment partnership in a large project we are undertaking in San Diego. Who would ever have imagined that one meeting and six months of relationship building could lead to this? World Trade Center San Diego (WTC), an affiliate of San Diego Regional EDC, is dedicated to growing international trade and investment opportunities for the San Diego region. WTC aims to cultivate a pipeline of export-ready firms, maximize foreign investment opportunities and enhance the region’s international identity in order to boost San Diego’s global fluency and competitiveness. In 2015, San Diego, in partnership with the Brookings Institution, released an export and FDI plan that assessed and recommended next steps in expanding San Diego’s global business ecosystem. Collectively, the plans formed the foundation of WTC’s work. We didn’t want this export and FDI plan to be just another piece of research that sat on a shelf. We wanted to put these ideas into action. Lucky for us, JPMorgan Chase wanted to as well. They agreed to fund the MetroConnect export assistance program to incentivize companies to go global. Thus began MetroConnect. Year one of the program kicked off with 15 San Diego companies looking to take their products to new markets. Money will only take you so far. As we built out the program, we realized companies needed to learn the intricacies of foreign markets, from financing to logistics and everything in between. We expanded upon our own team’s acumen and also brought in pros, like Qualcomm Ventures and Taylor Guitars, to host and run relevant educational workshops. Now in its third year, with another 15-company cohort in full swing, the MetroConnect program continues to support companies in their international expansion efforts. In an increasingly globalized world, cities are on the road more than ever before, forging connections and opening doors for the growth of their economies. Mayors of cities – from Paris to London to Louisville – are traveling alongside their businesses and startups to drive deals. In 2016, leaders from the Global Competitiveness Council – the voice of the global business community here in San Diego – asked San Diego Mayor Faulconer to join them. And he said yes. Biotech startup Phoenix Molecular Designs announced its expansion into San Diego and the creation of 15 jobs. Cubic Transportation Systems and TransLink, metro Vancouver’s transportation provider, announced 2M Compass Cards in circulation. 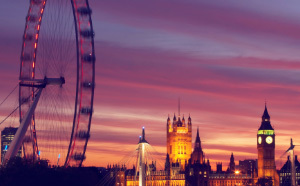 San Diego joined London’s city-to-city Business Welcome Program, which offers direct services to companies looking to set up locations on both sides of the pond. BioMed Realty announced a development project to build more than 100,000 sqft on Cambridge’s Babraham Research Campus. San Diego secured three direct international flights: Edelweiss’ direct service to Zurich, Switzerland, Lufthansa’s direct service to Frankfurt, Germany and Alaska Airlines’ direct service to Mexico City, Mexico. Guided by research, WTC and EDC assisted the San Diego County Regional Airport Authority in making the business case for the three flights. As a key global partner to the San Diego region, Germany currently ranks third in terms of foreign employment (2016). In 2017, Switzerland invested more than $1.6B into San Diego’s life sciences industry. Mexico ranks as the #1 destination for San Diego exports, with more than $5.8B in goods being shipped there (2016). WTC organized partners around the community into the Protocol Network in order to maximize connections for foreign delegations visiting San Diego and, in turn, provide potential investment and partnership opportunities to the region’s SMEs. 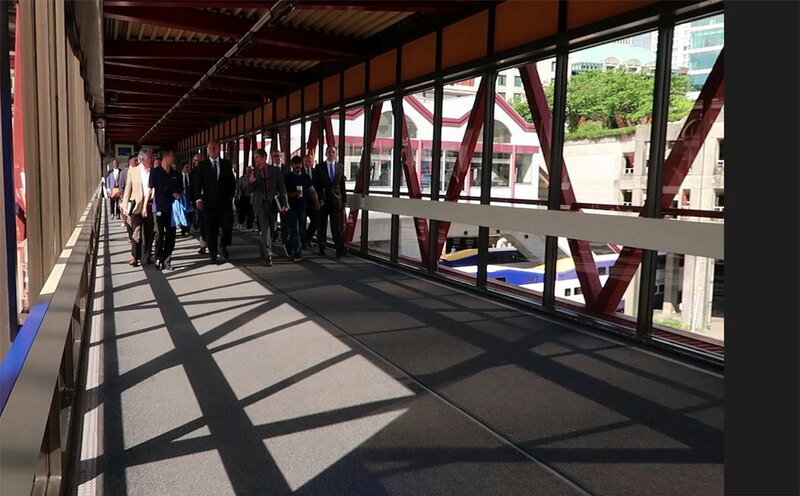 When the BIO Convention brought 16K biotech and pharma leaders to town in June 2017, we knew it was an opportunity to put the Protocol Network into action. WTC and Biocom piloted the “DiscoversdBIO” web tool, an automated online system to coordinate foreign delegations traveling to San Diego for the convention. When TuSimple, a Bejing-based startup with R&D facilities in San Diego, was trying to get its autonomous truck into testing phase, EDC stepped in to help. Both SANDAG and the City of Chula Vista are part of an autonomous vehicle proving ground – one of 10 in the country approved by Department of Transportation. EDC connected TuSimple with project leads at both entities to explore testing options right in their backyard. EDC then connected TuSimple to the Department of Motor Vehicles to help navigate the regulatory framework to allow for autonomous testing of trucks in California. EDC supports companies across multiple industries. Some projects take years to come to fruition; others happen over the course of 30 days. *EDC defines a project as a significant transactional activity that supports the expansion, attraction and retention of companies in the San Diego region. In 2014, MIT Technology Review released its list of World’s Smartest Companies. Topping the list was not Google, Samsung or SpaceX – it was San Diego-based Illumina. The genomics giant develops next generation sequencing technology that is changing the face of personalized medicine and has helped spawn San Diego’s growing genomics industry along the way. Rising genomics giant Illumina takes the top spot on MIT Technology Review’s ’50 smartest companies’ list ahead of Google, SpaceX and Tesla. 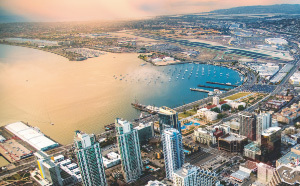 Working closely with the San Diego Mayor’s office, EDC advises on the creation of an Economic Development Incentive Agreement (EDIA) that offers Illumina a $1.5M sales tax rebate over a 10-year period to add 150,000 sqft to its San Diego headquarters. San Diego City Council votes unanimously in support of the EDIA, which outlined Illumina’s commitment to retain its presence and add 300 jobs in San Diego. 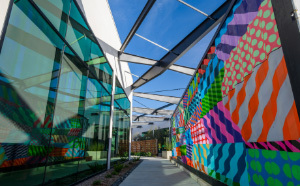 The 295,000 sqft building that houses Illumina’s research, development, oncology, genetics and reproductive health operations, opens. 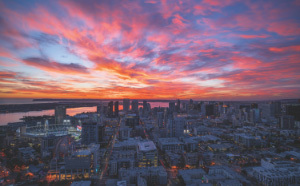 Bucking the trend of choosing Silicon Valley, Boston or New York, the Department of Defense (DoD) brought a delegation of Chief Information Officers (CIOs) to tour San Diego companies. EDC and partners worked to set up tours and introduce the DoD CIOs to some of the innovative companies in San Diego. Based on an introduction via Innovate78 partners, Quibtekk, a Vista-based quantum technology company, presented its technology to senior DoD CIOs. Because of this connection, subsequent requests have been made of Qubitekk from the CIOs that may turn into projects and business for the company. It was the biggest story to hit the economic development landscape in 2017. By 8am on September 7, EDC staff had collectively received dozens of emails and calls about Amazon’s search for a second headquarters, promising 50,000 jobs and an influx of investment opportunities. To win a bid like Amazon, EDC knew it was going to take more than shipping a giant cactus or leaving 1,000 Amazon product reviews. It was going to take deep-seeded collaboration that few regions in the country could match. And we had six weeks to pull it off. Amazon announces its search for a second North American headquarters, promising a $5B investment and 50,000 jobs. Within a few hours of the news breaking, EDC makes contact with various economic development agencies around the county and state to begin the coordination of a potential regional bid. EDC releases a statement indicating it was evaluating the proposal. Before committing to submitting a bid, EDC and partners conduct preliminary research and due diligence. After extensively vetting the proposal and the rubric Amazon was using to evaluate locations, EDC staff and regional partners determine they will submit a bid. 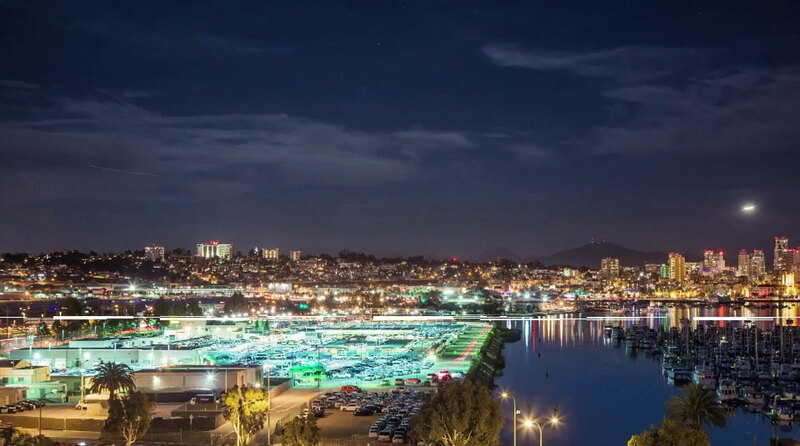 Over the next few weeks, EDC works with regional real estate developers and municipalities to find the sites that match Amazon’s needs and emphasize San Diego’s strengths. Simultaneously, EDC works to aggregate specific data, compile letters of support and articulate San Diego’s story in the proposal. Before the October 19 deadline, EDC submits a response to Amazon’s HQ2 RFP on behalf of the San Diego region. The California Competes Tax Credit has helped companies stay and grow in San Diego. Tax credits are awarded to companies to lessen their state tax liability over a five-year period. In 2013, the California legislature chose to forgo the reauthorization of the Enterprise Zone program and replaced it with Cal Competes – a discretionary tax credit for companies that want to stay and grow and California. 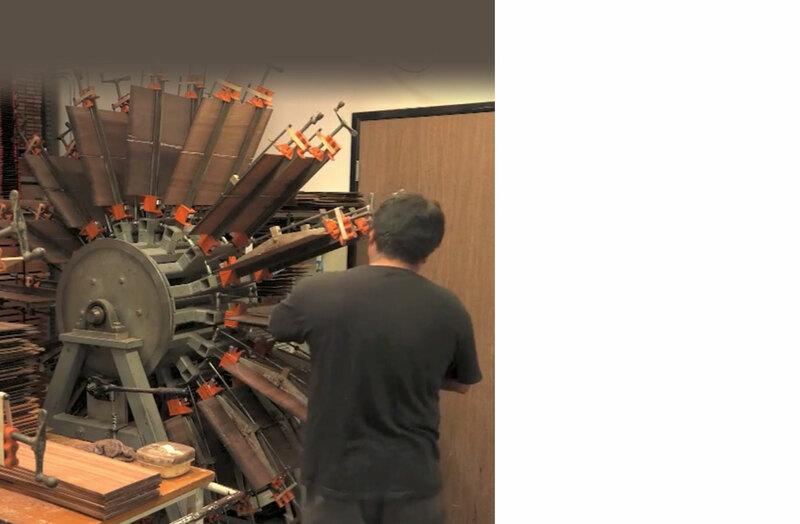 Since then, EDC has worked to ensure San Diego companies get a fair share of the tax credits. With a $1.6M federal grant awarded to the city of San Diego, EDC worked alongside Propel San Diego partners to execute specific programs to enhance the resiliency of the region’s defense industry. Propel San Diego was awarded an additional $1.8M in federal funding to execute programs in 2018. EDC, on behalf of San Diego, was selected as one of three regions from around the country to participate in a learning lab, spearheaded by the Brookings Institution, focused on inclusive economic development and how organizations engage in this complex topic. EDC convened partners in the community who were embedded in these issues to come around the table. Now in its fifth year, San Diego Manufacturing Day is part of a national program celebrating the manufacturing industry and the technical workforce that drives its growth. Underwritten by Samsung, EDC supported more than 30 tours of facilities on both sides of the border including Samsung, Action Drone and more. By connecting San Diegans with key industries, EDC is ensuring the continued growth of jobs and investment in the bi-national region. Some of these were piloted for the first time and some were about taking an existing program to the next level. In 2017, the Link2 program connected local students to industry leadership across the region. While we maintained our local programming focused on industries ranging from defense to gaming to cleantech, we wanted to test our luck with Link2 outside of the region. We took Link2 on the road, and headed to another California university and hub for STEM talent – Cal Poly San Luis Obispo. More than 40 students showed up to learn about career opportunities in San Diego from Viasat, Intuit, Solar Turbines and MindBody. With new life sciences companies popping up each day in San Diego, there is a need for qualified bioinformatics talent. 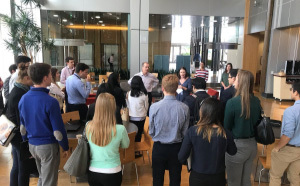 With our economic development committee’s help, EDC hosted a two-day immersion tour of San Diego’s life sciences ecosystem for students from around the country. Research is the cornerstone of our work at EDC. We conduct objective research that helps inform policy and economic decisions. EDC launched two full-scale economic impact studies, while maintaining its regular publications, the Economic Pulse and the Quarterly Economic Snapshot. EDC also developed regional profiles for the cities of San Marcos and Vista. AND A PROSPEROUS SAN DIEGO ECONOMY IN THE NEW YEAR. EDC IS A PRIVATELY-FUNDED NONPROFIT THAT WORKS TO ENHANCE THE REGION’S ECONOMIC COMPETITIVENESS. THANK YOU TO THE INVESTORS THAT MAKE THIS WORK POSSIBLE. Thanks for visiting our report. For the full experience, view on desktop. Turn your phone landscape to view an abbreviated mobile version.